"El producto está siendo eliminado. 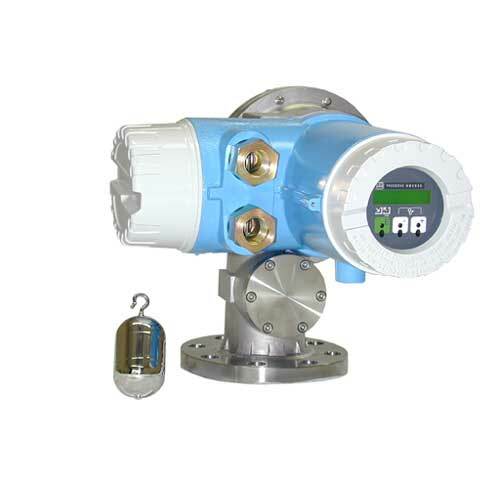 Proservo NMS7 of intelligent tank gauge is designed for high-accuracy liquid level measurement in storage and process applications. NMS7 performs the tank inventory management, loss control, total cost saving, and safe operation. NMS7 is designed for the purpose of single or multi-task installations, converting a wide range of measurement functions. Size: D158mm, d3.5mm. Material: NBR. Part: drum housing cover, stainl. steel. Usage: NMS5/NMS7. Module with wiring harness and stud. 3x stud, screw, washer. Usage: NMS5/NMS7. Module with wiring harness and stud. Consists of: 2x stud, screw, washer, nut. Usage: NMS5, NMS7. I/O-3,T-AMP spot temp, with chassis. Usage: NMS5/NMS7. I/O-3 with 52013652 cable for CPU. 52013653 cable for terminal, chs., set. Usage: NMS5/NMS7. T-AMP,with,70106033 cable, connector. Cable 70106034, connector (terminal). Chassis, spacer, washer, screw set. Usage: NMS5/NMS7. Wiring harness between terminal and module. Terminal 6, 7, 2c, 10P black connector, red connector w. printed circuit board. Usage: NMS5, NMS7. Wiring harness, Term.-HART passive mod. Wiring harness between terminal and module. Terminal 6, 7, 2c, 10P black connector, red connector with PCB. Usage: NMS5, NMS7. Wiring harness between terminal and module. Terminal 20, 21, 22, 23, 4c, 10P black connector, 4P brown connector. Usage: NMS5, NMS7. Wiring harness between terminal and module. Terminal 6, 7, 2c, 10P black connector, 2P brown connector. Usage: NMS5, NMS7. Terminal 8-18, 8c (output), 3c (input), 2x 10P black connector, 13P brown connector. Usage: NMS5, NMS7. Wiring harness between terminal and module. Wiring harness between I/O-3 and TCB. 9-wire, 9-Pin brown connector. Usage: NMS5, NMS7. Wiring harness between terminal and 4-20mA output module. Terminal 20-23, 4c, 10P black connector, 4P brown connector. Usage: NMS5, NMS7. Cable with connector for TCB. Usage: NMS5/NMS7. EExd type, without Exia sepalater wall. Usage: NMS5/NMS7. Usage: software V.4.27 later or now, NMS5/NMS7. 2x PTFE bushing, 2x SS screw. Usage: NMS5/NMS7. 316 0.2 wire,30m,316 ring. Usage: TGM5. 316 0.2 wire, 16m, 316 ring. Usage: NMS7, TGM5. 5x wire d=0.4mm, 5x ring. Material: PTFE. Usage: NMS5/NMS7. Displacer 50mm: PTFE. Incl. 1m fixing tube PTFE>316. Incl. measuring wire ring: PTFE. Usage: NMS5, NMS7. Instrumento servomecánico inteligente para la medición de depósitos, diseñado para la medición de nivel de alta precisión en líquidos en aplicaciones de custody transfer y de control de inventario. Para aplicaciones higiénicas.